Discountdisplays dual barrier system is ideally suited to high traffic environments. 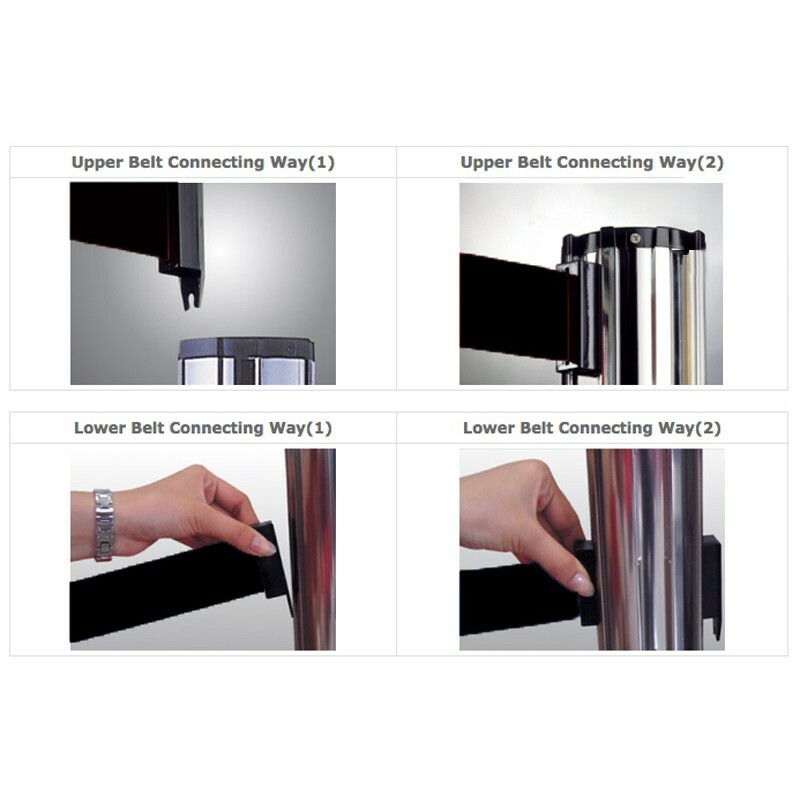 The dual tapes are more visible and also prevent people from ducking under the barrier or undoing a tape to easily step through. 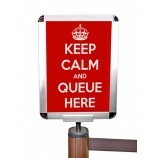 The low tape also has the added advantage or preventing small children from leaving the queue. The 8-way belt barriers are versatile and allow endless queue control combinations to be created for optimum pedestrian flow. 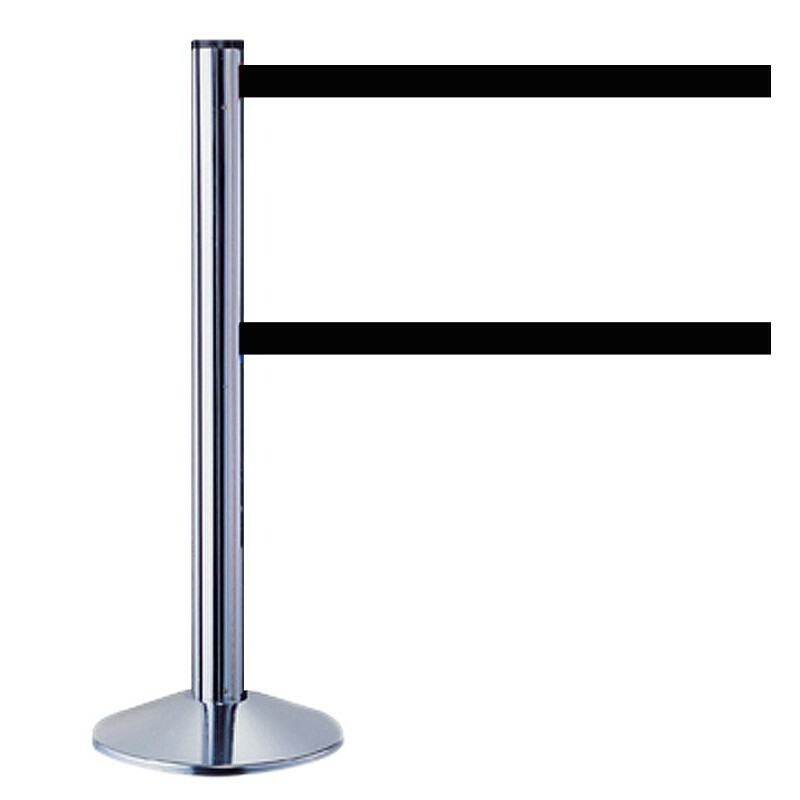 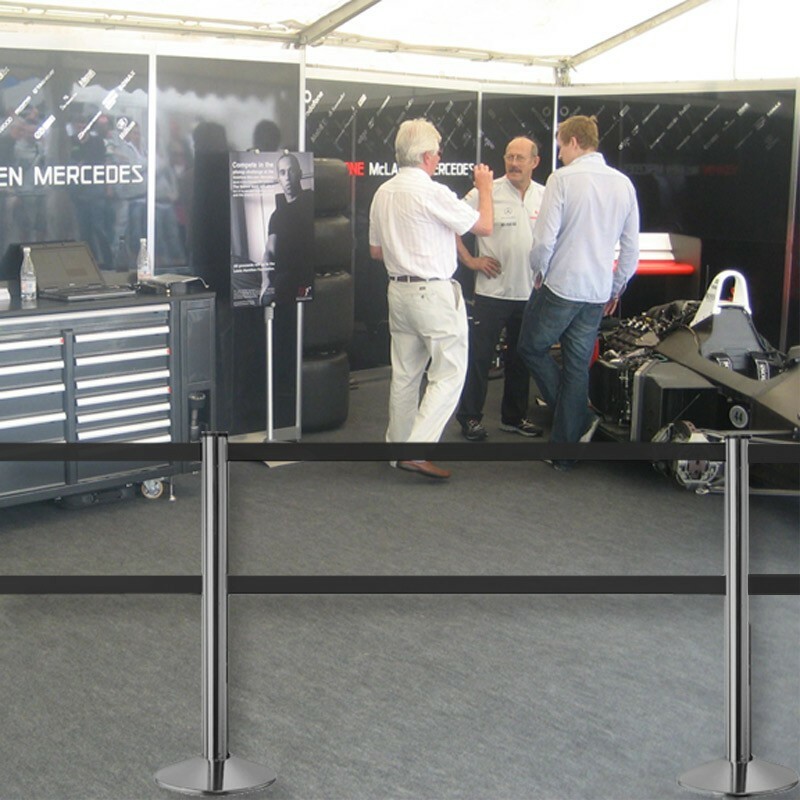 Belt barriers are ideal anywhere you need a versatile way of crowd control management and security; Government buildings, Libraries, Universities or Museums. 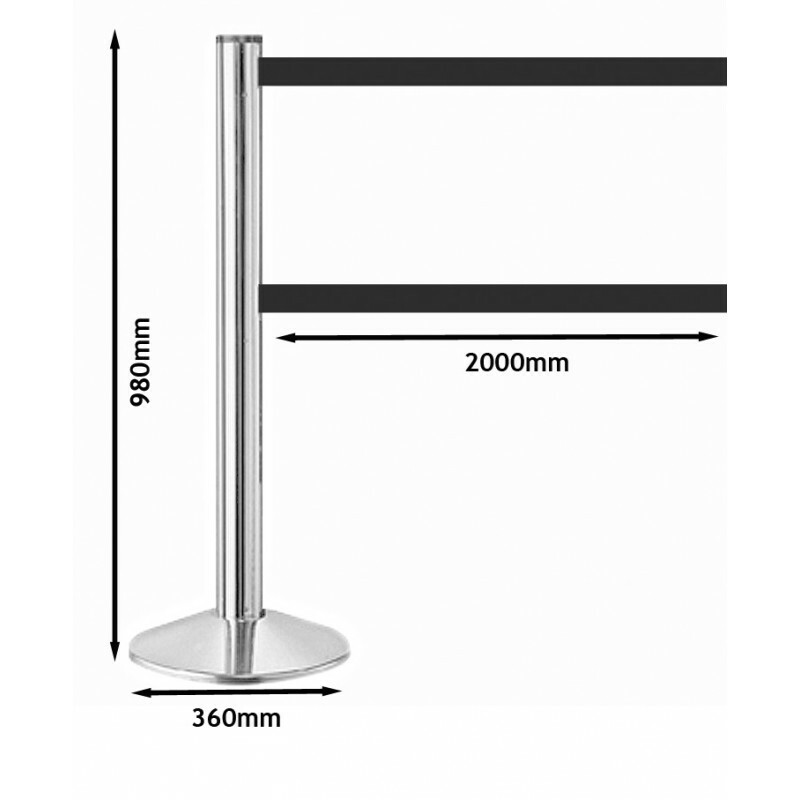 Engineered to last from stainless steel the 980mm high post attaches to a 360mm thermoplastic non-scratch iron filled base which offers great stability. 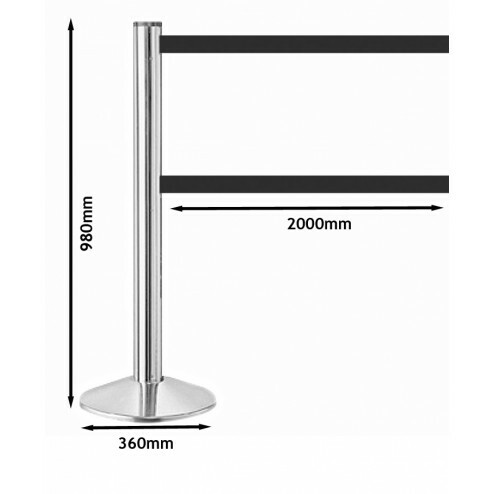 The weighted base is capped is with a stylish flat-topped stainless cover. 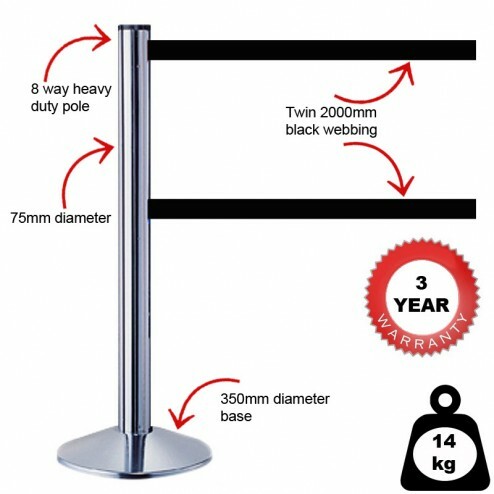 The twin webbing tapes are each 2m long.